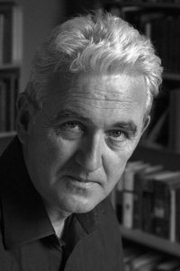 In 1977 Michael Burleigh took a first class honours degree in Medieval and Modern History at University College London, winning the Pollard, Dolley and Sir William Mayer prizes. After a PhD in medieval history in 1982, he went on to hold posts at New College, Oxford, the London School of Economics, and Cardiff where he was Distinguished Research Professor in Modern History. He has also been Raoul Wallenberg Chair of Human Rights at Rutgers University in New Jersey, William Rand Kenan Professor of History at Washington & Lee University in Virginia, and Kratter Visiting Professor at Stanford University, California. In 2002 he gave the three Cardinal Basil Hume Memorial Lectures at Heythrop College, University of London. He is a member of the Academic Advisory Board of the Institut für Zeitgeschichte in Munich and a Fellow of the Royal Historical Society. He founded the journal Totalitarian Movements and Political Religions and is on the editorial boards of Totalitarismus und Demokratie and Ethnic and Racial Studies. Michael Burleigh's books include the best-selling The Third Reich: A New History (Pan Macmillan) which won the 2001 Samuel Johnson Prize for Non-Fiction; Ethics and Extermination: Reflections on Nazi Genocide (Cambridge University Press 1997); Death and Deliverance: Euthanasia in Germany 1900-1945 (originally 1994 Pan Macmillan 2002); The Racial State: Germany 1933-1945 (Cambridge University Press 1991-); Germany Turns Eastwards: A Study of Ostforschung in the Third Reich (originally 1988 Pan Macmillan 2002); Confronting the Nazi Past (St Martin's Press 1995) Prussian Society and the German Order (Cambridge University Press 1984). His books have been translated into Czech, Estonian, Finnish, French, German, Hebrew, Hungarian, Italian, Japanese, Spanish, and Polish. His Earthly Powers: Politics and Religion in Europe from the Enlightenment to the Great War was be published by Harper Collins in 2005. He has also been active in bringing history to television audiences. In 1991 he won the British Film Institute Award for Archival Achievement for the Channel 4/Domino Films documentary Selling Murder: The Killing Films of the Third Reich and a 1993 New York Film and Television Festival Award Bronze Medal for Heil Herbie: The Story of the Volkswagen Beetle (Channel 4/Domino Films). He has been married since 1991 to Linden Burleigh and they live in South East London. Michael Burleigh is currently considered a "single author." If one or more works are by a distinct, homonymous authors, go ahead and split the author. Michael Burleigh is composed of 4 names. You can examine and separate out names.